LET’S GET THIS PARTY STARTED…WHAT CAN I GET YOU TO DRINK? Whether you’re hosting a summer cocktail party or frugal back-yard grill-fest you’ll want to make sure that your beverage center is fully stocked with some of the best summer drinks for your guests. There are also plenty of ways to add a splash of colour to your summer drinks with or without alcohol. Today I want to talk about alcohol-free drinks, mixed drinks, frozen drinks, fresh fruit drinks, summer drinks for kids and new summer drinks that are all budget-friendly. I went on a Pinterest hunt for some of the best summer drinks recipes I could find that were budget-friendly and easy to make. 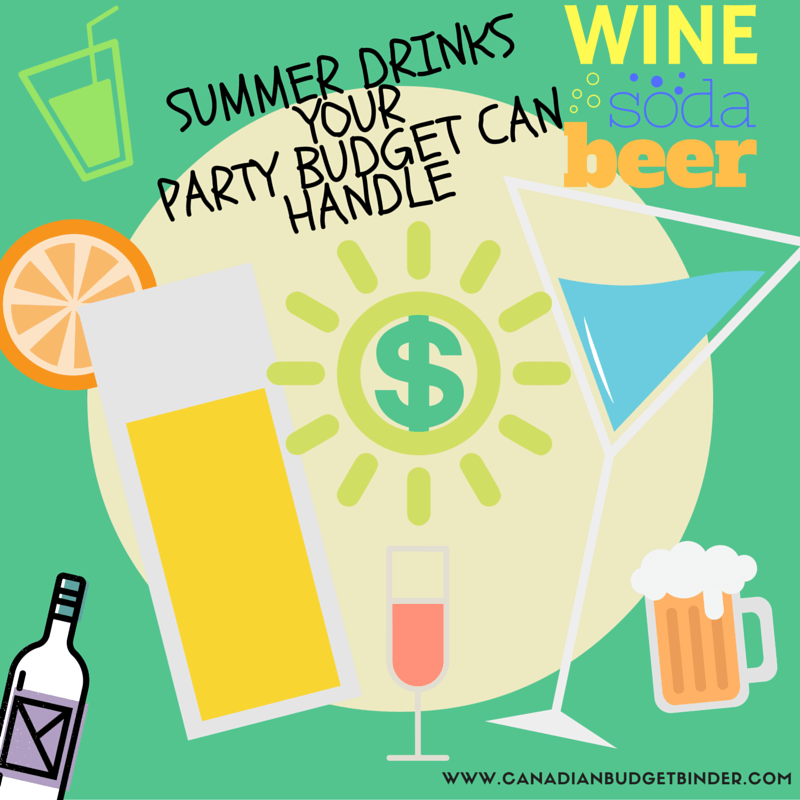 Can your budget handle summer drinks? If you’re not sure if you can afford to have a summer party but really want one maybe it’s best if you plan by knowing your party budget, writing down everything you’d like to have at your party and save up for it first. This way it takes financial stress off your shoulders rather than trying to fit it into your monthly budget schedule as an unplanned expense. Summer drinks by the pool or in our case the sprinkler or kiddie pool is a must especially when we are faced with hot and humid days in Canada. Most times when I’m outside with the family or by myself you will catch me with a cold bottle of water to keep hydrated and something I always keep in a cooler filled with ice outside for company when we have a summer party. I was never a fan of the “Bring Your Own Booze” (BYOB) invites when going to a party although I would always make sure to bring a bottle of wine or spirits for the host to help with the summer drinks cost. This to me is proper etiquette and if you plan to host a summer party and don’t drink alcohol yourself plan to buy something for your guests who do drink to offer an array of beverages. If your party is explicitly no alcohol let your guests know in advance so they don’t load you up on alcoholic host gifts or bring their own booze to your summer party. There are plenty of non-alcoholic drink option available that are just as refreshing if not better when the heat is beating down on your guests like Citrus Fruit Infused Water. If you plan to bring alcohol to your host for fun summer drinks you are always safe sticking to the basics, red/white wine, rum, vodka and whiskey which take care of most popular alcoholic drinks such as rum/coconut rum and coke, vodka and orange juice, summer punch, blender drinks and so on. 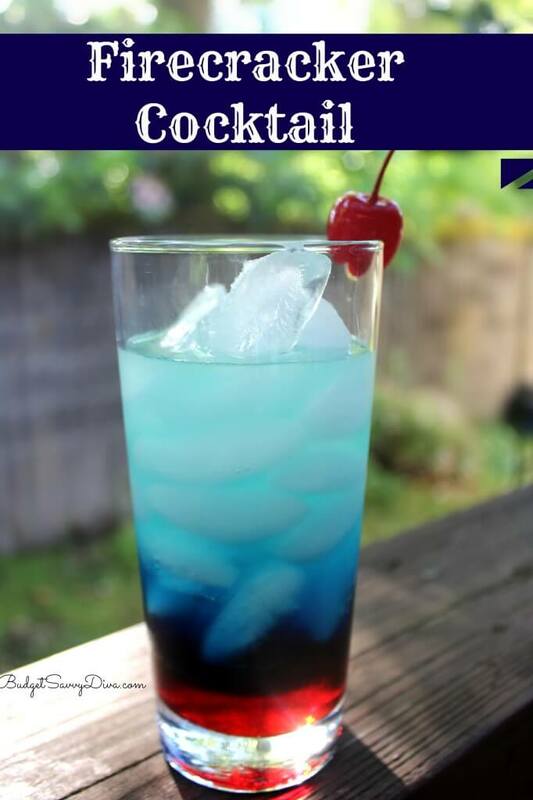 You can even add some outrageous colour with Grenadine or Blue Caraco which are also popular in party cocktails and inexpensive. You can even make delicious summers drinks with white wine that pair nicely with frozen and fresh fruit. 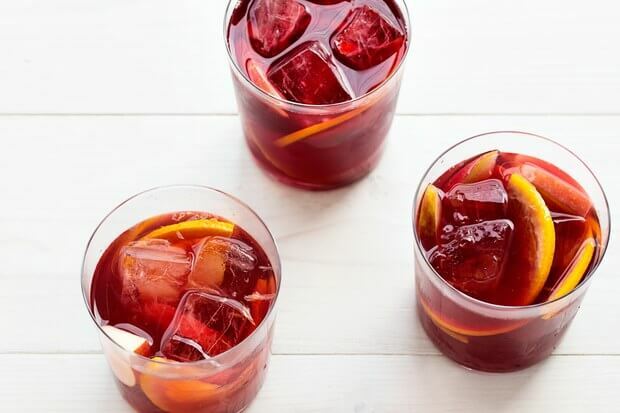 One of the cheapest pitcher cocktails you can make is a white or red wine Sangria for a large gathering. 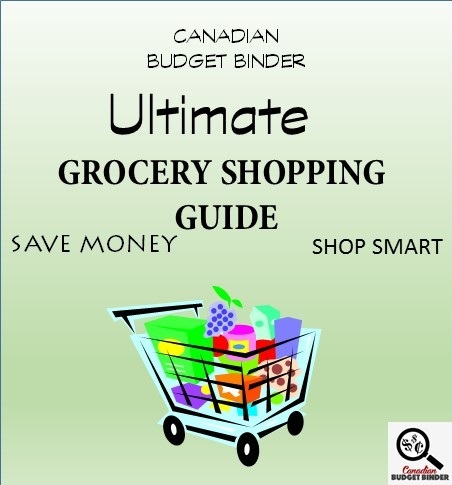 The list of alcohol to buy is limitless however depending on your budget and tastes prices will vary so it’s important to either buy what’s on special at the L.C.B.O (Liquor Control Board of Ontario) and stock up or stick to the cheaper bottles. The likelihood of your guests complaining about the type of rum you bought is slim besides once you add fruit, pop and other mixers you can’t hardly tell the difference. Give it a few alcoholic summer drinks and your guests will tell you that you’re the best bartender in town! You can apply the same idea for drink mixes and edible accessories which you’ll want to stock up on depending on the summer drinks you will be serving. I believe having a few options for drinks is all you really need as you’re not a bartender and want to enjoy your party. Not everyone has a fully equipped kitchen set-up in their back garden but with simple compromise you can still bring the indoors outside. I’ve seen hosts who have backyard summer parties and set up a table with blenders and have coolers filled with drink ingredients, drink recipes and the guests make their own summer drinks like this Frozen Strawberry Lemonade. Fruit (you can freeze it and find it cheaper on the reduced rack too) Bananas are a must for many smoothies and frozen blender drinks to help thicken them up. Pop, Coke, Pepsi, 7-Up, Root beer, Orange Crush, Sprite etc. Extracts- Peppermint, Brandy, Rum, Lemon etc. You can stock up on party drink supplies when the summer sales start or even before if you’re a party planner. Don’t forget to make a boat-load of ice-cubes and stash them in freezer bags or buy bags of ice from your local shop. A party without ice in the summer is horrifying. Another option to save money on alcohol is if you make regular trips to the USA for work or pleasure. Alcohol is far cheaper and if you stay for extended periods of time you can bring alcohol back to Canada Duty Free. If mixed drinks aren’t your thing because beer is your summer beverage of choice offering a variety of drinks is important because your guests might not love beer as much as you do. You can still keep your beer costs lowered when hosting a party by purchasing beer such as Brava which will run you about $28 for a case of 24 and it’s perfectly fine. 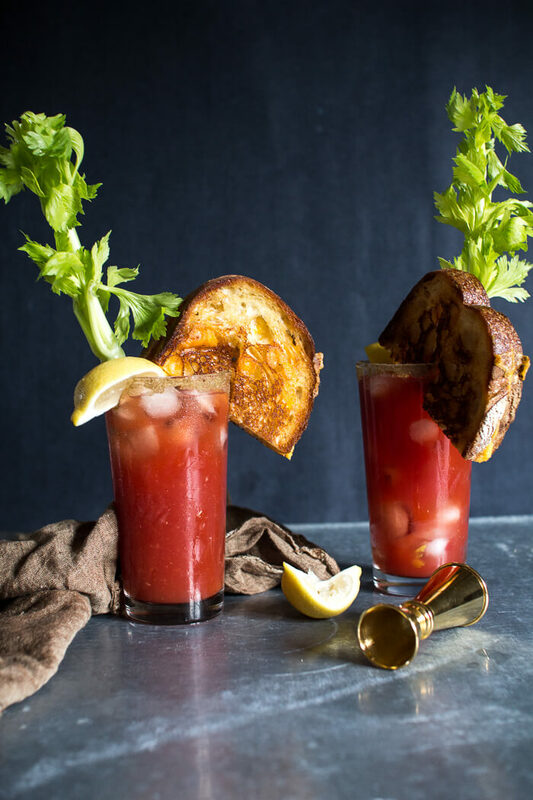 A fantastic drink to pair with beer is a nice cold Cesar cocktail or Bloody Mary dressed with olives, celery or pickled beans. Some people even add grilled cheese to the side of this popular drink. You don’t have to rush out to buy a selection of craft beers for your summer party unless you’ve saved the money to splash on the good stuff. Sometimes it’s nice to save a beer splurge for yourself or when a pal comes over. 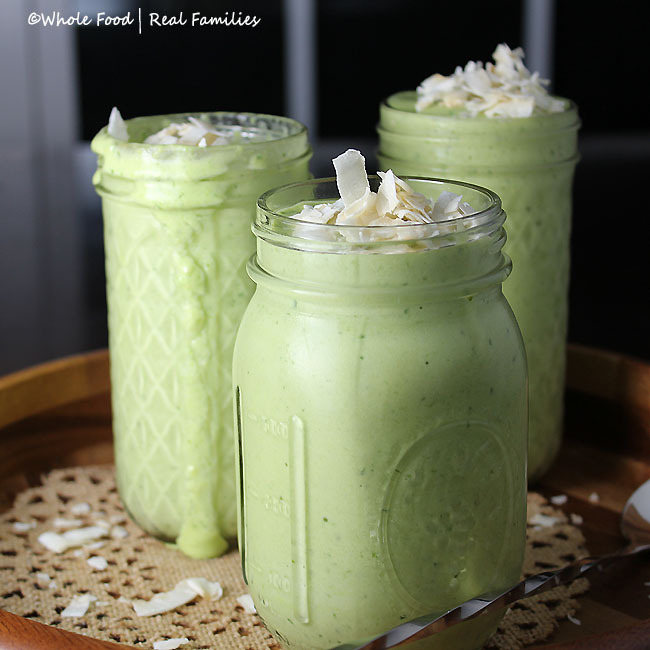 If you plan to make ice-cream smoothies, yogurt fruit smoothies, frozen fruit slushies or smoothies like this Healthy Green Pina Colada Smoothie which has spinach inside but the kids will never know. It’s always fun to have an accessory centre for the kids. You can buy a tray or two from the Dollar Store and fill it with sliced or whole fresh or frozen fruits, crushed Oreos, Smarties, Recces Pieces, Sprinkles, Licorice to use as straws. 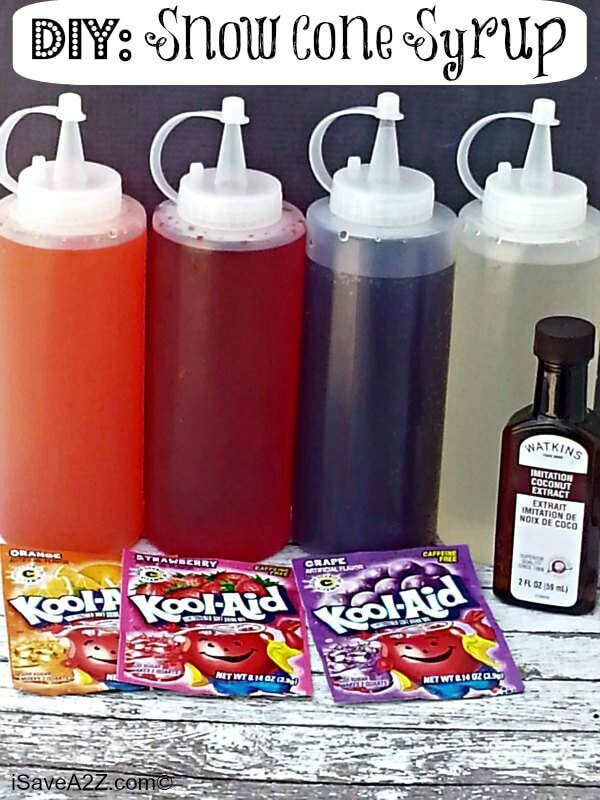 Kids love snow cones so why not make your own homemade snow cone syrup in a variety of colours to be added to shaved ice. 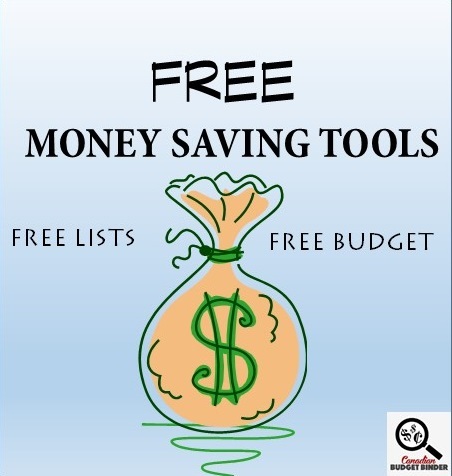 Thanks to blogger Jennifer at I Save A to Z for this wonderful idea. Can you hear the kids excitement already? I can. You can also offer crayons, colouring books, paint and other activities to keep the kids at the table enjoying their drinks rather than running around. I find that they tend to drop their drinks far more when they are running about as opposed to sitting to enjoy it. There’s no harm in creating your own new summer drinks and testing them on your guests. Some of our best summer drinks come from our blender filled with ice, fruit, extracts, yogurt, protein powder, hemp hearts and sometimes a splash of alcohol. This year it seems that popular drinks without alcohol are fruit slushies of all descriptions, Iced-coffee with flavour shots and frozen Iced Chai tea latte similar to that from Starbucks. 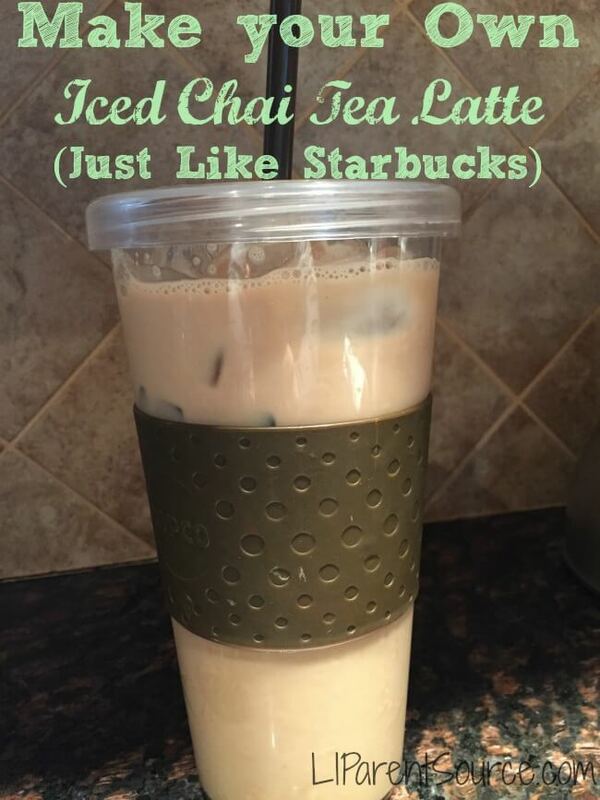 If there was one drink that my wife craves in the summer is iced-coffee so we’re working on creating a recipe at home to save us some money although McDonald’s does a pretty decent one for a buck in the summer. Whether you choose to make healthy summer drinks filled with organic greens, herbs and fresh fruits or a simple banana-strawberry smoothie make sure to dress the glass up to make it sparkle. Other fun ideas would be to add little umbrellas from the Dollar Store or Party Store, funky straws, designer coloured or flavoured ice-cubes (Dollar store or Second-hand shops). 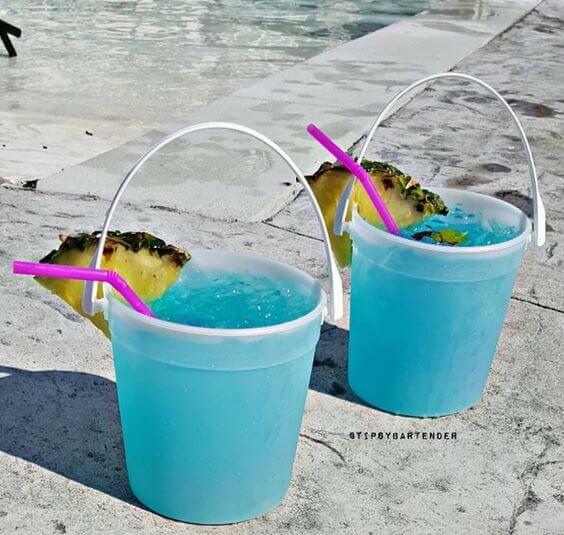 If having plastic colourful summer beverage cups is a must the dollar store is a great place to find what you are looking for or opt for plastic cups, mini pitchers, buckets, freezer mugs which are great for keeping drinks cold. If you don’t mind using glass outdoors for your guests check out the second-hand shops for full sets of glassware fit for your summer drinks for cheap. Mason jars make great summer drink vessels! You’ll likely also find tablecloths, utensils and just about anything else you’ll need. If you’re not worried about colours and designs you can do a mix and match of whatever partial packs you find. Garage sales are another great place to score cheap summer tableware and glassware so stock up when you see it especially if you frequently have parties at your house. The Dollar store also has an array of glassware which is reasonable for what it’s worth as we’ve purchased many types over the years which are still going strong in our kitchen. You don’t have to be rich to host a proper summer party because with a little planning and saving your guests will make memories with lots of good food, fun summer drinks and lots of laughter. What are some of your favourite summer drinks? Congratulations to our June Winner- #4 Kathryn!!! Message me for your gift card. There wasn’t too much on sale this week that captured our attention although we didn’t spend much time looking as it’s a busy week for us. We are working on getting the freezer down and then re-stocking as we go along or find sales. Right now we are hoping to get cheese on sale as that is getting low. If you notice and broken links or errors please email me or leave a comment below. Thanks. Are My Bank Savings Safe and Protected? A small week, only one shop. We needed a lot of condiments and to stock up on condiments. This is the time of year to get some stock on the shelf. A fine start to July but so much still to come. I’m not sure if you noticed but the last line of your expenses reads 2015 and not 2016 🙂 Thank me later. lala! What are peanut pieces? Is there a Hellmans coupon out there? What is the expiry on it? I haven’t seen one yet. Even though I’ve made my own mayo I don’t often have time these days and Hellmans is my favourite mayo. The condiment stock up week can drive the budget. I might write a post on this topic. 🙂 Well done. You get ballot 9. Bring on the rest of July. The older boy is the one here to drink coffee but he is in very good shape right now for coffee in the coffee maker!! Lol!! Hubby always fusses about the amount of sauce on the pizza when I make and these cans are a nice size for a big pizza, by telling him each of the two pizzas I make at a time got ‘a whole can of sauce each’ it shuts him up about that complaint. The cans are about a cup of sauce each so it all works, the cans taste like pizza store sauce so it’s all good. The stores sell 6 packs of the smaller bottles of Gatorade and such that are one flavour and I do keep my eye out for those on sale. Foodland is supposed to have those in Power Ade for $3.99 but all I’ve found so far are the Gatorade at 2/11.00, not bad but I know I can do better…and I will as soon as I find some! I give you credit for feeding your husband with all the complaints which I’m sure is a struggle for you at the best of times. What about talking to the store manager to see if they can order them in? That was a good price for the beef that you picked up. What shall you do with that extra 0.10 cents hehe!! That was a good deal for the hot dogs at No Frills and the perfect time to stock up. Your total human figure for the week reads $15.03. How do you come up with that number if you spent $12.86 and $50.89? Where are you planning to go for your holidays? Any word on St. Jacobs yet? Keep at it. You get ballot #2. Mr.CBB Have a great shopping week! The difference went to stockpile and meat budgets. Normally, I take vacation from my M-F job to work St. Jacobs but this year I’m taking two weeks off which I’m going to enjoy even though I’m not going anywhere. Peddlars Village is opening up on July 21st so I’m working that day on my own but it should be good. What is Peddlars Village all about? Peddlars Village has different food vendors (prepared food), such as the British bake shop, perogies, fudge, prepared jams, Greek dishes, Apple Cider donuts but it also has clothes, rugs, toys, calendars, leather goods, sushi, candles, perfume. Of course, the booth that I work at is there as well. There are many different vendors that sell many different types of goods. It’s a building that many people feel doesn’t deserve their time but those are the people that are missing out. That sounds like a fun place to visit. I hope we can find some time to make it up this summer. This is a LOW SHOP WEEK. OUR CURRENT TOTAL UNUSED RESERVES ARE $966.22. This means the $936.51 that we carried forward from 2015 PLUS AN ADDITIONAL $595.54 that we have added in 2016, LESS $565.83 that we have drawn out for use in 2016. Do you buy marinated artichokes for your salad? I love the idea of adding them into a tomato salad with fresh basil. We’re so excited that we have a waffle maker now. I can’t wait to come up with a waffle recipe for the blog. I’d love to do a couple of salads this summer for the blog as I haven’t really done any yet. Nice score on the 50% off chicken!! We hardly see chicken on half off these days. Celery was a good deal although it’s hit or miss in Ontario to find a decent celery this summer. Even the fennel is lacking in size. How do you like the 2 organic salad dressings? Have you tried them yet? Well done… we’re off into July!! Half the year has almost gone by.. wow!! You get ballot #1. My wife made waffles tonight that were low carb… they were good. We filled them with cheese and fresh basil from the garden and a few other spices. I might even try potato waffles and a bunch more. I’m excited. I wondered why I waited so long to buy one. Cost me $10 too and it’s brand new looking. Mr CBB, did I miss it? Who is the JUNE winner?